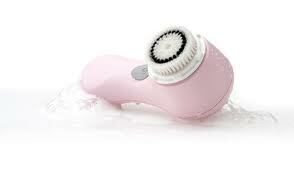 Every now and then there is a revolutionary breakthrough in skin care.... Clarisonic just happens to be one of them. The sonic skin cleansing system is your the best kept beauty secret for make up artists, celebrities and skin care mavens everywhere. The system aids in the cleansing of the skin in just 4 simple steps. Improves skin tone.. In less than a week, you'll notice brighter, even skin! Still not convinced?? Head on over to Clarisonic and see for yourself! I have the amazing Mia and I'm thinking about the body system as well! Clarisonic Rocks!